SOLD! 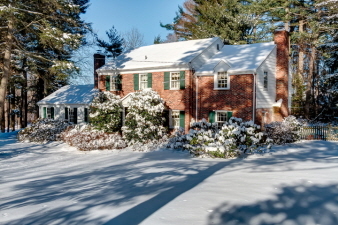 Stately brick colonial on quiet cul-de-sac in sought-after Wayne, Upper Merion location. Don't miss this opportunity! Large, updated kitchen with cherry cabinets and sunny breakfast room addition. Hardwood floors throughout, some under carpet. Warm and welcoming family room with brick fireplace, and open flow to kitchen. Two-car attached garage. Gorgeous, private yard with mature landscaping, brick patio and lovely pool.